UI design is an important aspect of an appealing App, and today I’m bringing you a review of Letterpress – the single best design I have seen in an iOS App. 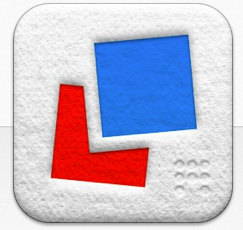 Letterpress is a free universal App for iOS and is a cross between scrabble and crosswords. Playing against other real players online, the aim of the game is to cover the grid of letters with your colour by making words. The initial screen, and whole UI design of Letterpress, is minimalistic and it very much reminds me of the Windows 8 design, which is probably why I like it so much. 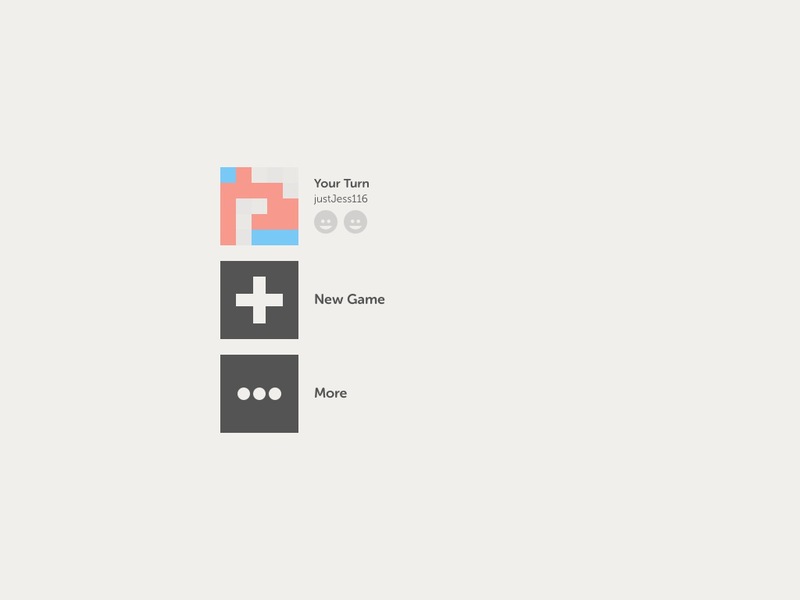 Letterpress begins by displaying a list of your current games, together with the spread of colour currently in that game. The free version of Letterpress only allows 3 simultaneous games to be played, before prompting for a £1.49 in-app purchase upgrade. 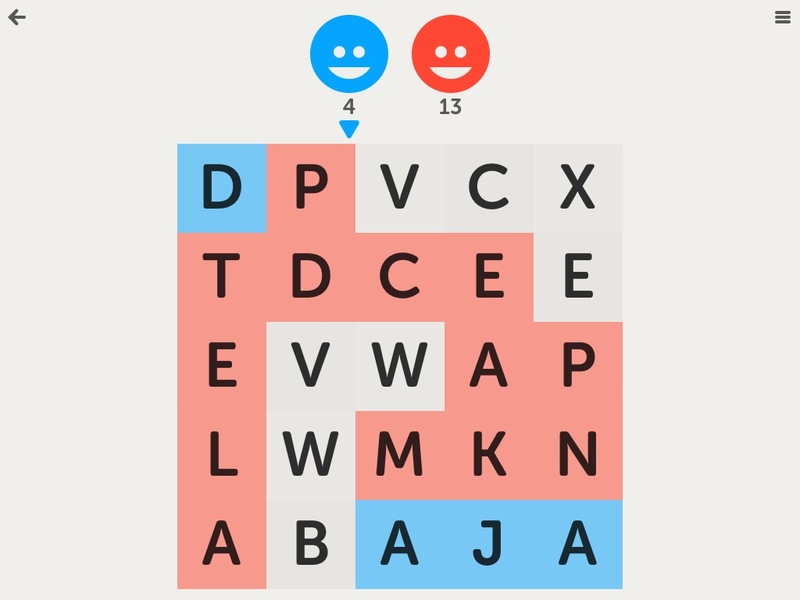 As mentioned, the aim of Letterpress is to cover the board with your designated colour by making words. You can use your opponents letters to make words and recapture them for your own colour. To stop your opponent using your letters, you have to encase that letter inside your colours on all sides at which point it becomes a bolder colour. This stops the opponent from using that letter. Tactics of the game include encasing and reserving most or all of the vowels in the grid for your own use, leaving it almost impossible for your opponent to make a word and have to skip their turn. The game is incredibly simple, but that is what I like about it, and it works and looks great. It has taken up hours of my time playing random opponents from around the internet. 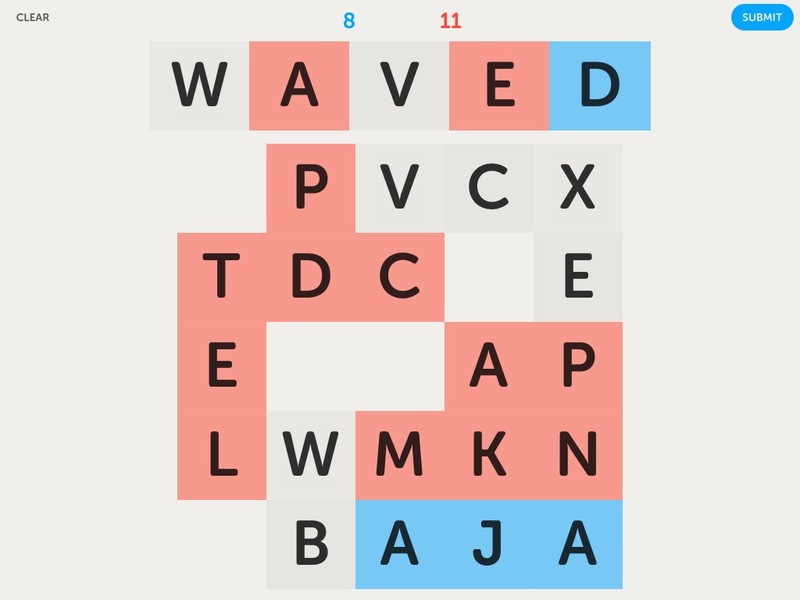 What would improve Letterpress is some kind of levelling system to give the game some objective, as there is really nothing to work towards as it currently stands. Nevertheless, it is a fantastic App and is definitely worth a look. Download Letterpress for iOS here.